Lionsgate recently acquired the TV rights to Ben Macintyre’s new biography, A Spy Among Friends: Kim Philby and The Great Betrayal. The book was published in the UK last month and will be released in the US in July by Crown Publishers. Harold “Kim” Philby was one of the world’s most notorious double agents, who, after being recruited as a student at Cambridge University, becomes a high-ranking member of British intelligence and provides secret information to the Russians for over 20 years, before defecting to the Soviet Union in 1963. It seems to be good timing for the project, with the success of the terrific Cold War era spy television drama The Americans, and the renewed tensions between the U.S. and Russia now. But I was surprised that it’s not being made into a feature, as there’s never been a stand alone movie about Philby’s fascinating life. Hopefully it’s not more evidence that cable TV may be stealing away some of the thunder (and talent) that’s traditionally been reserved for the big screen. 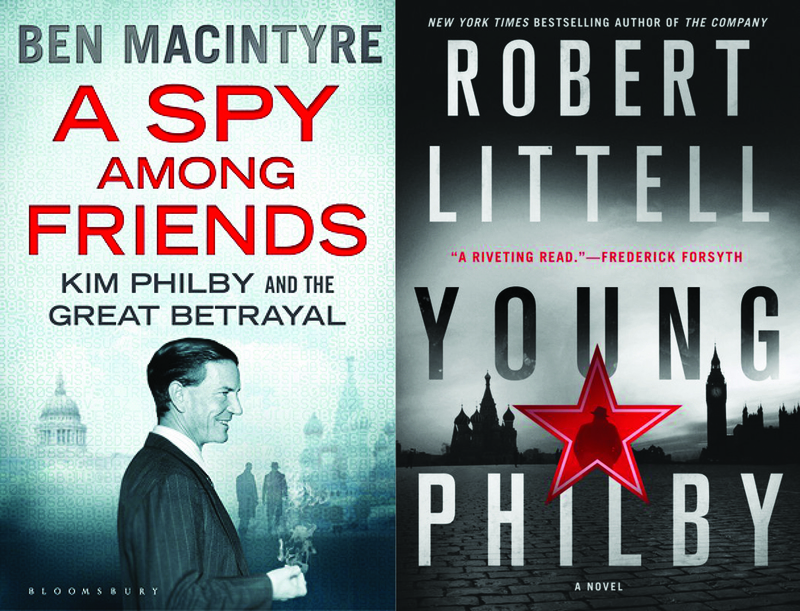 Another book on the British spy, a novel by Robert Littell called Young Philby, was published by Macmillan in 2012. It paints a vivid picture of the spy’s early years, and would be a great basis for a movie, especially if this planned TV series never gets off the ground. Philby’s spy persona has been inspiring characters in books and movies for years, most famously as the inspiration for dashing Bill Haydon in John le Carre’s Tinker Tailer Soldier Spy (played by Colin Firth in the film). He also shows up as himself in Littell’s 2002 espionage novel The Company, which was turned into a television miniseries in 2007. It’s worth noting that Philby’s nickname was given to him as boy by his father for the character “Kim” in Rudyard Kipling’s classic adventure novel. In an odd twist of fate, that character was also a spy for the British against the Russians. Unfortunately for him, that’s where the similarities end. Kipling’s Kim goes on to find enlightment, while Philby spends his final days disillusioned with communism and living in the Soviet Union.